Aren't they all so so SOOOOOO beautiful! When I first saw the collection I was struck by the unique tonal striping of the Adhara shawl and the pretty lace of the Solaria cowl, but then Tanis just had to go and post another Suncrest FO on her blog recently and now I'm just smitten with that one too! I've squirreled away a skein of stash yarn to knit one of my own. I'm bringing it along on my trip to Mexico. I'd love to knit one up in the oh so lovely TFA Red Label Cashmere/Silk Single like the original, but a girl's gotta save her pennies when she's about to be sipping margaritas poolside. Oh, but wouldn't a skein of Seabreeze or Atlantic be just so appropriate though?! Enough of the dreaming - more about the actual collection! Each of the patterns comes with written and charted instructions (with the exception of Suncrest that comes with only written for the Fan Shell Border), and I have to say that these ladies are both very skilled pattern writers, because the e-book is well written and the layout is clean and easy to read. At $15CAD this medley of patterns is a steal, in my opinion. Well done, gals! 2. Leave a comment on this blog post by the end of Sunday, 9/9/12. Which of the four patterns strikes your fancy? I think Adhara is my favourite, but I do love Suncrest as well. I love the Solaria cowl!!! Thanks for the giveaway! The Nashira stole strikes my fancy the most even though since I´m tall I would probably make it a little wider and longer but that pattern is beautiful. 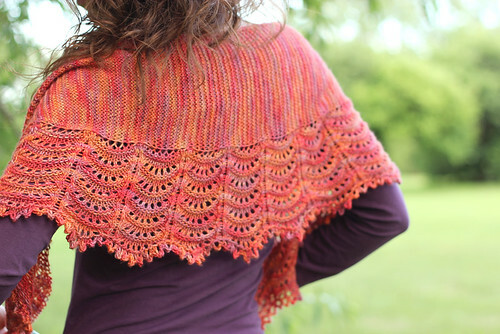 I think I'd like to knit the Suncrest Shawl the most after seeing it on Tanis blog too! I agree this collection is absolutely gorgeous! So is the yarn!!! Nashira, with Suncrest as a very close second! I love Suncrest, but I also like the cowl a lot. 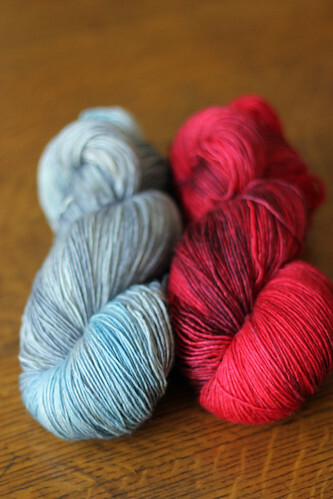 Dying to try TFA yarn! I've been intrigued by the Solaria cowl, it's very interesting. I still haven't had a chance to use any TFA yarn, but I did purchase a skein from her Etsy shop during its last update. Haven't figured out what to knit with it! I love the forth pattern for th cowl. It's super adorabale and you could waer it almost anywhere! I love the Adhara, I adore simple shawls with complicated edges and the play with color is a lovely idea! Nashira is beautiful! But they are all lovely. Can't decide between Adhara and Solaria. I love all of them, but Nashira is the one that really belongs in my wardrobe. I love all of them but the cowl is my favorite. I like the Adhara shawl. My favorite is the Nashira stole. It's so pretty and feminine. My favorite is the Adhara Shawl; I love the way the colors play together. But they are all stunningly beautiful designs. I love them all!! Honestly- so, so gorgeous. I guess you have to start somewhere, though, so I'd cast on for Suncrest first. Thanks very much for the giveaway and enjoy your time away! My vote is for Suncrest-looks super wearable, and fairly quick. Have fun in Mexico! I'm split between the cowl and Adhara Shawl! Enjoy your trip! Solaria, because I love Julie's patterns and I'm cowl crazy these days! I really like the Solaria cowl. Sunset and Adhara are my favorites. Suncrest and Solaria both tickle my fancy to no end! I'm torn between Adhara and Suncrest. They're all lovely though. Ooh, I really like the Suncrest Shawl! Definitely my favorite of the bunch. I love the Suncrest Shawl, it's gorgeous! Enjoy your holidays!! I would love to knit Nashira in shadow! Once again, such a great giveaway! Thank you! Suncrest is my favorite, I would cast on right away! Enjoy your knitcation, I look forward to hearing all about it! I love the suncrest, but I would probably make the adhara and use it as a nursing shalw when baby#3 gets here in December! I love Suncrest! I'm very curious about the construction! 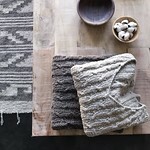 I love the Adhara Shawl but I think that all of the patterns are great. The Nashira stole is beautiful! They all are, really! I like the Nashira stole. I really fancy the suncrest shawl because I've been itching to do feather and fan. The construction of this shawl intrigues me. Espero que disfrute sus vacaciones. I've been drooling over these shawls since I saw them on Ravelry. Enjoy your vaca and thanks for the giveaway. Suncrest speaks to me, as do the others. Reminds me of a beautiful sunset. I really want to knit them all, but if I have to pick one, I'll go with Suncrest. Gorgeous! Nashira is simply stunning. Enjoy your "knitcation"! Ole! The Solaria cowl is my favorite. Perfect for fall, too. Thanks! I love how Nashira could go casual or dressy, especially in that color! Great collection. Hope you have a wonderful knitcation!! I love TFA...one of my favorite yarns. I really like all the designs but I would knit Adhara first. Suncrest is my absolute favorite! I fell in love with the Suncrest Shawl the first time I saw it-gor-geous! I love the Nashira stole! It is just so elegant looking! 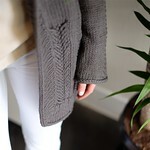 I would start with the Adhara (so I guess, it's my favorite), because I love the subtle stripes and the big lace border. I love the Nashira Stole! Love this collection! It would be hard for me to choose between the Solaria cowl or the Suncrest shawl. . . I guess it would depend on which needles were available! The Adhara is first on my list. Choosing the right colors is really difficult with so many beautiful choices in Tanis' collection. Suncrest. I love how the texture plays off of the handpainted yarn. I really like the Suncrest Shawl, and the awesome color that is knit up with. The Suncrest Shawl intrigues me. The Nashira stole is my favourite. Nashira stole - without a doubt. The Solaria cowl by far is my favorite, although they are all lovely. Nashira stole. I'd probably make it longer and wear it more like a scarf; the lace pattern is beautiful. I love the Nashira stole. That Suncrest shawl is exactly the kind of shawl that I gravitate toward. But the Solaria cowl is also really pretty. My favourite would have to be Suncrest. I also LOVE TFA yarns :-) Awesome giveaway!! I love the Adhara shawl! Thanks so much for such an awesome contest. I like the Solaria cowl. I love Suncrest. thanks for the giveaway! I love the Nashira Stole! I can imagine walking on the beach in the summer with that lovely stole wrapped around my shoulders! I love the pattern AND the color chosen for this stole but could see it in vibrant red with a black flowing dress!!! I ADORE the Solaria Cowl. I am usually more of a cowl person but I adore the Nashira stole. A lovely collection overall. I have read Tanis Arts blog and have been dying for a chance to use their yarn and beautiful color ways. Enjoy your trip! I desperately wish I was able to go too! 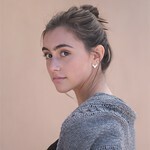 I think Adhara is so pretty - but all 4 are very nice! Beautiful stuff, I like Nashira, thanks for the giveaway! Love them all, but I think the Nashira stole is my favorite. I love the Solaria cowl and the yarn is beautiful! I like the Solaria cowl! These are beautiful. I think I'd make Nashira first. Thanks for the giveaway. It's so hard to choose, but I think Adhara would be the one I do first. Solaria for sure! That one screams at me to cast on...right now! I think I'd knit Suncrest first, but they are all so lovely! They're such a beautiful group of patterns that I'd have a hard time choosing a favorite - especially between Suncrest and Solaria! Thanks for the lovely givaway! At first my eye was immediately drawn to the Solaria cowl, and then the Suncrest shawlette, but even Nashira and Adhara are beautifully stunning!! I definately have to have this ebook one way or another lol!! P.S. Have a wonderful knitcation I cant wait to read about it and see beautiful pics of it!!!! Well, all of them are lovely, but Suncrest really jumped out at me right away. My eye was drawn to Suncrest but all of them are lovely! I love the Nashira stole, it is definitely something I would wear again and again! The Nashira stole is lovely! I love the Solaria or Suncrest! I can't decide... I've been looking at the ebook too! Love them all. Quite a tough choice - all of them would make fab additions to my wardrobe but I am leaning towards the Solaria cowl - am still smitten with cowls :) Have fun knitvacating and wish I could be there!! The Suncrest Shawl gets my vote. I adore the suncrest shawl. Oh so lovely! All of them are beautiful. My current choice would be the Nashira stole. Ooooh, I think the suncrest is my favorite. They are all gorgeous, and the yarn is drool-worthy! I am absolutely in love with Adhara. I really want to make that one! I've recently become quite obsessed with cowls, so I have to say that the Solaria cowl really just jumped out at me. 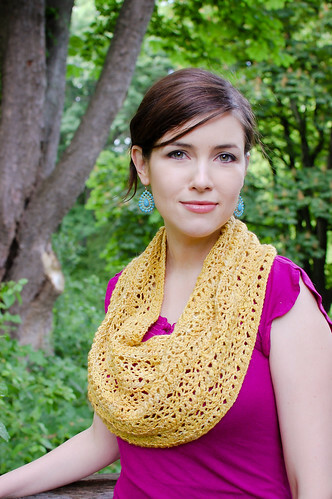 That Solaria cowl is lovely! I love them all, but I think the Suncrest is my favorite! Tanis' yarn is so beautiful! my favorite is the soloria cowl...and that yarn..absolutely gorgeous. I am taken by Adhara. But Solaria would be my second pick! Adhara is definitely my favorite! The Nashira stole is so pretty! I'm diggin' the Adhara Shawl. I'd love to incorporate beads into the pattern as I go. The nashira shawl is my favorite. I don't knit enough rectangles! I really like the Nashira stole pattern. Thanks for hosting the giveaway! I'm jashleyslc on Ravelry. Nashira ia my favourite, but they're all lovely! The Suncrest Shawl is my favorite! Thanks for the chance to win! the Nashira stole, definitely!! I would do it in something much brighter than the pic. LOVE them all!! All four look interesting, but probably Adhara and Solaris are my favorites. 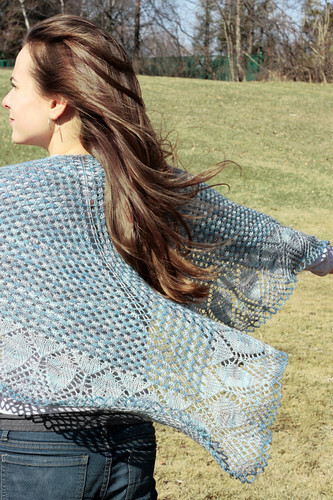 I love the suncrest shawl- the second one on the TFA blog sold me! I like them all, but in the end I would choose Suncrest! I love the Suncrest!!!! Thanks for the chance! And it's heads, so I'll say the Nashira stole! I love the Solaria Cowl. The Nashira Stole is a must have with the Solaria Cowl running a very close second!! The Adhara shawl is my pick. My favorite is the Solari Cowl! The sun crest shawl and solaria cowl are both beautiful. Hi Ve, have fun in Mexico! Have a margarita for me - I wish I could have come with you! The Solaria cowl is very beautiful. Well done!!! I already have the Solaria cowl in my queue - it is so beautiful. And the Nashira stole is gorgeous too! Solaria followed by Adharra - thanks for the giveaway! Suncrest and then Nashira. Definitely. I like them all, but I love Adhara. Definitely the Nashira stole. I hve a dress that it would go great with! Solaria, followed by Nashira. Totally lovely for fall. Ilove the Adhara shawl for it's size and color gradation. All hands down for the Nashira stole ! I love both colors but I think Suncrest shawl is my fav! I love, love the Nashira Stole!! I think it would also be beautiful knitted with the brilliant yellow the cowl is made with! Suncrest for sure!! But they are all really pretty!